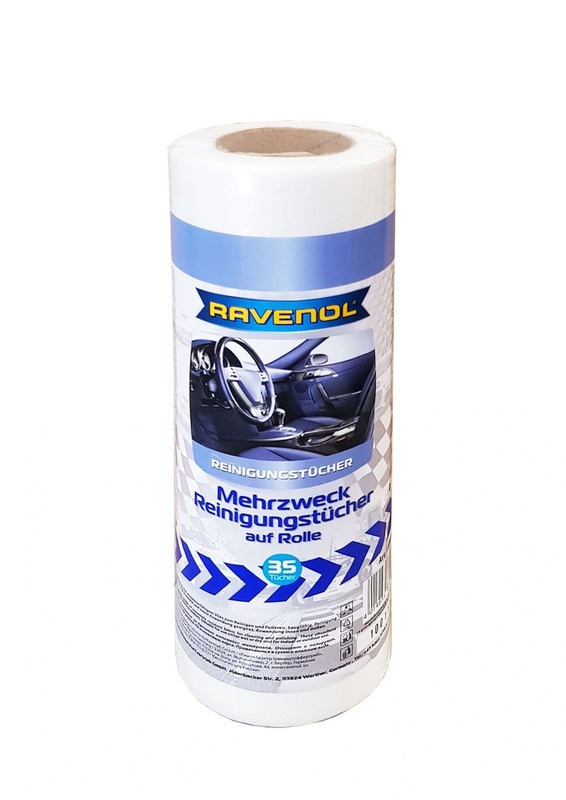 RAVENOL Multi-purpose Cleaning Cloths are made of extremely resistant fabric for cleaning and polishing. These absorbent tissues clean without leaving residues and are perfectly suited to remove moisture and dirt from windows, mirrors, vehicle windows, car headlights and helmet visors. They have an antistatic, polishing effect and due to their soft surface are perfect for cleaning smooth surfaces. Do not try and compare these to standard kitchen rolls or garage wipes! Each roll contains 35 tissues. 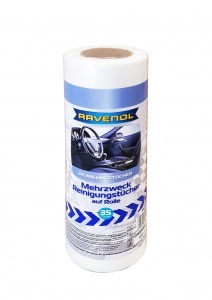 RAVENOL Multi-purpose Cleaning Tissues are indispensable for cleaning dirty hands during and after workshop jobs. May be used to clean vehicle surfaces. To clean or polish, simply open the package and separate one or more wipes from the roll at the perforation. Towels made of viscose and polyester fiber. Do not store in direct sunshine and not near heaters. Keep away from children and animals.